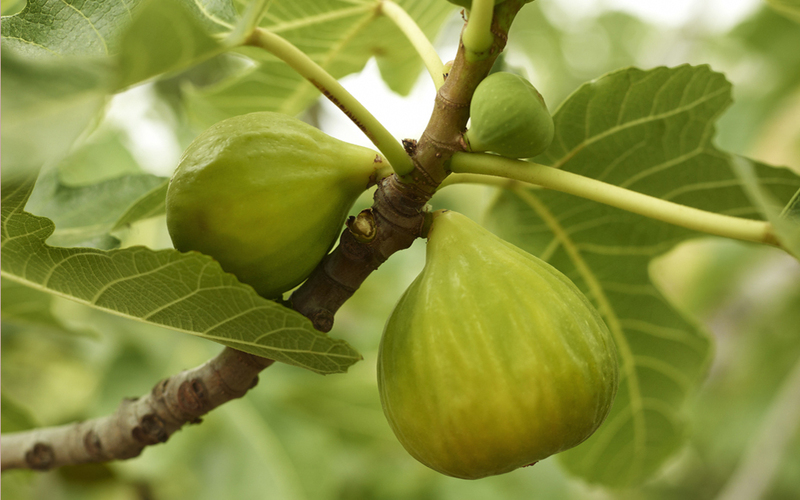 Figs are at their best at this moment! 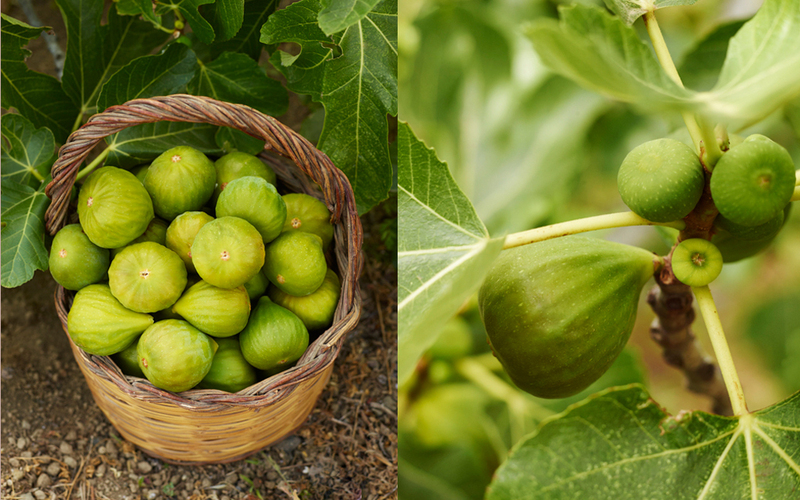 I picked them early in the morning and served some under almond tree the other evening, the fig variety is named Ottata and at the moment you can see them all over the island of Pantelleria. This recipe is a great starter or serve it as a part of an antipasto. If you want to use a piping bag for the cheese, remove the cheese from the fridge a good hour prior as to let it to soften, then it’s easier to handle in the piping bag. In a sauce pan over medium heat dry toast the walnuts gently. Cut a cross on the top of the figs, spoon or pipe the figs with the Gorgonzola. 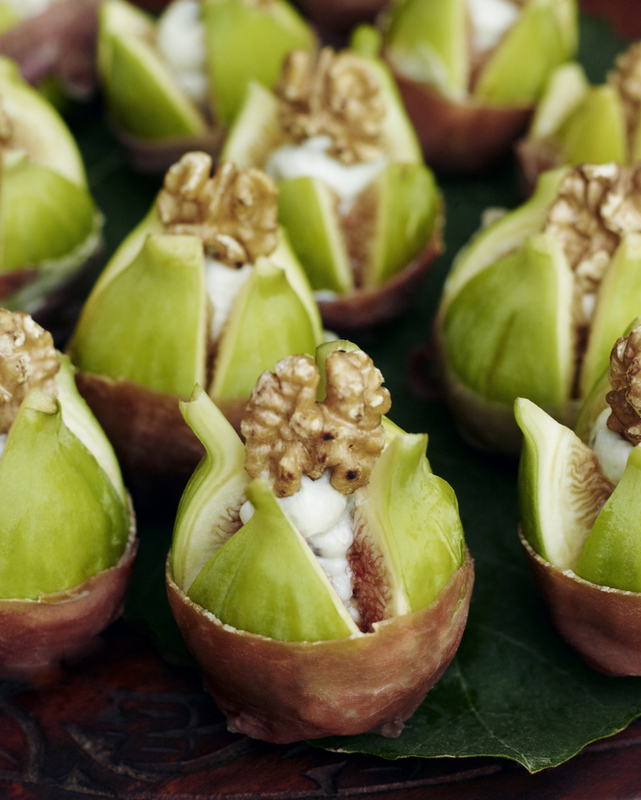 Wrap each fig with a slice of prosciutto and top with a walnut. This entry was posted in Appetizer Recipes and tagged Almond Bar, Anna Huerta, antipasto, fig tree, figs, Gorgonzola cheese, gorgonzola filled figs, http://www.annahuerta.com/, Ottata, prosciutto crudo, summer, summer food, summer fruits, Under the Almond Tree, walnuts on August 30, 2013 by Anna Huerta.